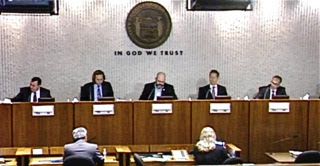 The Costa Mesa Planning Commission met Monday night for the final time this year and dealt with a very abbreviated agenda. Only two items were discussed and processed. At least they all were present this time. 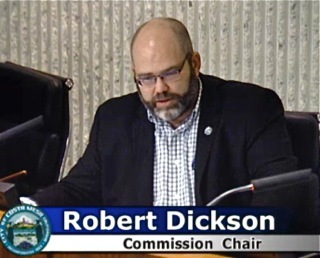 At the beginning of the meeting Chairman Rob Dickson advised those in the audience that all sober living issues that had been tentatively scheduled for this meeting actually never made it to the agenda. 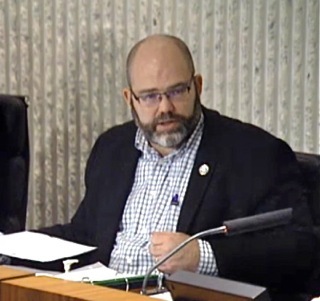 According to Interim Development Services Director Jay Trevino, the incoming City Council has determined that it wants to evaluate our process and the issues facing them before proceeding with any more sober living issues. Only two members of the public stepped up during Public Comments - a rarity these days. Jay Humphrey suggested that WHEN sober living items are agendized and notices be sent out, those notices be sent to a 650 foot radius of the facility in question instead of the normal 500. He chose that number because that's the space between facilities required in our ordinances. 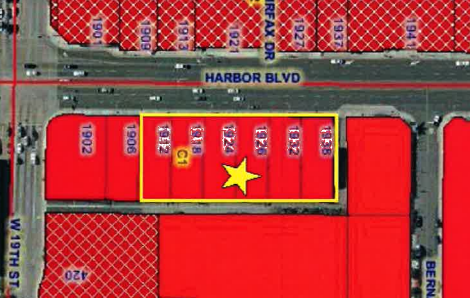 He also expressed concern that the vehicles being delivered to the recently rebuilt GMC dealership at the corner of Harbor Boulevard and Merrimac Way were being done in the middle of Merrimac, making for a very dangerous traffic situation for cars and bicyclers. 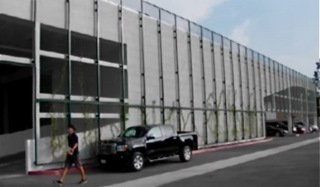 He also expressed concern about the so-called "Green Wall" at the dealership, shown, which is anything BUT green so far and, from the looks of the plants being used, it's going to be several years before anything resembling a true "Green Wall" is evident. He wondered about the conditions of the conditional use permit that authorized the Green Wall. 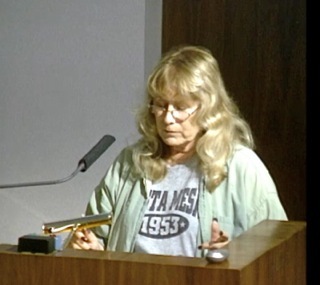 An unidentified woman stepped up and complained about traffic along Victoria Street and about sober living homes. 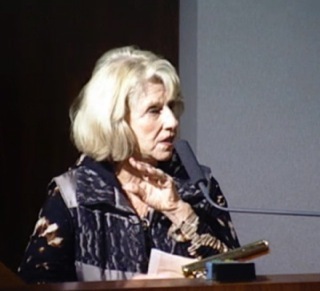 She complained about those near her Westside home and the fact that she's come back to meeting after meeting and had not been able to speak because issues had been deleted from the agenda, or re-scheduled because of the late hour. During Commissioner Comments all the commissioners wished everyone a happy holiday. 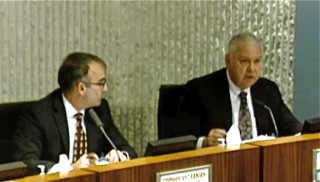 Colin McCarthy also expressed concern about the Green Wall at the GMC dealership, as did Chair Dickson. Public Hearing #1, a small lot ordinance no the Eastside, caused Vice Chair Jeff Mathews to recuse himself because he lives nearby. 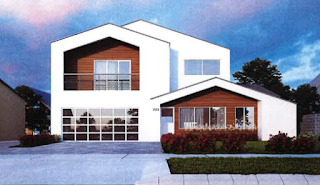 This project takes three units - a single family home and a duplex on the rear of the property - and converts them to two larger single family homes using the Small Lot Ordinance. The rear unit is a so-called "flag lot" - it is connected to the street by a long driveway that runs along side the front lot. The applicant was asking for a variance along that driveway. Jay Humphrey stepped up and opined that the Small Lot Ordinance was supposed to have taken care of all those ordinances - but it apparently didn't. He also opined that, while this is a nice project, it's too big for the lot. 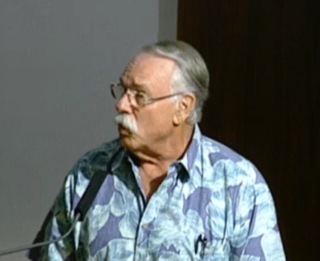 During the brief commission discussion brief mention was made of undergrounding utilities, but City Engineer Bart Mejia said because it only involved two units undergrounding was not necessary. I did notice one thing that is likely going go become problematic - the power pole sits squarely in front of the driveway, making maneuvering more than a little tricky. Nobody said anything about it... so... The item passed, 4-0, with Mathews absent. 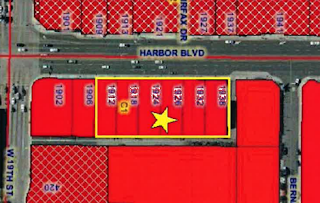 Public Hearing #2, is for two conditional use permits for shared parking and a massage parlor at a strip mall in the 1900 block of Harbor Boulevard. Although it is underparked by a significant number - a fact affirmed by speaker Beth Refakes, who says she uses that venue a couple times a month when she hauls her cat to the animal hospital. The fact that folks park parallel to the street creates problems for those in parking spaces. The commission ignored those facts and approved the requests on a 5-0 vote. Dickson adjourned the meeting to their first meeting in January - on the 9th. Some folks around town are wondering about the future for this commission after the installation of the new City Council. Two have terms that expire early next year, but there are rumblings about a clean sweep. I guess we'll see. I don't understand, Geoff...what do you mean by a clean sweep? Can the new council majority essentially "fire" the three commission members who still have time on the terms remaining? Let's commission a sculptor to make a giant boot for display somewhere near Segerstrom Hall where the city has other works of art. Then there will be a safe place for the likes of Fitzpatrick, Monahan, Sesler, Mathews, Mensy, Dickson, and McCarthy to take turns licking the piece, in order for them to keep their skills up. It can be called "Newport Bosses and Outside Interests."